Carroll G. Robinson, Esq graduated as a Who’s Who Among American Law Students from the George Washington University Law Center in Washington D.C.. He is an Associate Professor and Interim Associate Dean of External Affairs at the Barbara Jordan-Mickey Leland School of Public Affairs at Texas Southern University (TSU). He is also a Co-Principal Investigator of the TSU National Transportation Security Center of Excellence-Petrochemical Transportation Security. 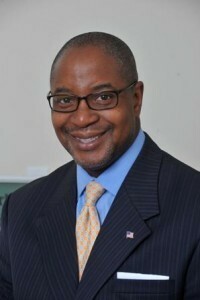 Professor Robinson is a former At-Large (elected citywide) member of the Houston (Texas) City Council. He also represented the City of Houston on the Board of Directors of the Houston-Galveston Area Council. Prior to his election to the Houston City Council, Professor Robinson was an Associate professor at the Thurgood Marshall School of Law at Texas Southern University and served as Executive Assistant to two presidents of the University. He is a member of the Advisory Board of the law school’s Earl Carl Institute for Legal and Social Policy. Professor Robinson has also worked in the Texas Legislature as Chief of Staff and General Counsel to Texas State Senator Rodney Ellis. He has an impressive list of publications, has presented at numerous presentations and served as a keynote speaker throughout the country. Outside of his academic rigor, he is active and holds life memberships in the National Association for the Advancement of Colored People (NAACP) and Omega Psi Phi Fraternity. He also holds memberships with the National Bar Association, American Bar Association, State Bar of Texas, Houston Lawyers Association and Houston Bar Association.